So many people ask how to get Mini Mes and the Little Square 3 x 3" molds to make a nice flat foot. In any of my typical slumps loads I go to 1175 with a 30-60 min hold depending on the work.....at that low temp if this was buried between a couple of bowls right on the shelf you would have a round bottom. 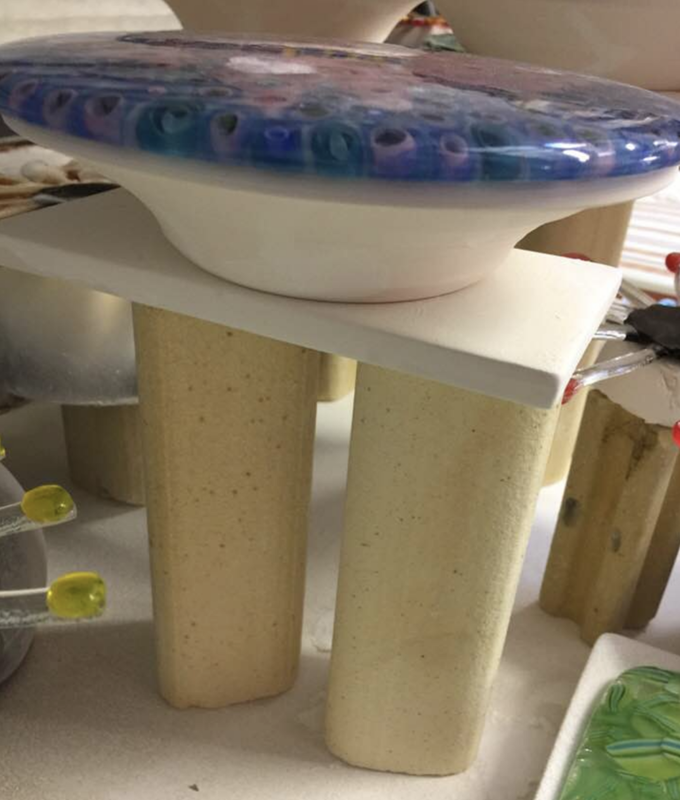 1 solution is to put you mini on a small tile or fiberboard and raise it up in the kiln as you see here. 4-8” makes a huge difference. If you have a tall kiln like my 15" deep put in 8" stilts and see how it goes. adjust accordingly. The slow ramp from 1200 to 1250 lets the glass drop down in slowly. adjust the hold for your kil of course.